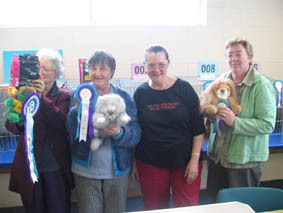 A successful cat show is dependent upon many factors, ranging from good management to good weather. Among the many key ingredients for a successful show, are GOOD CLERKS. 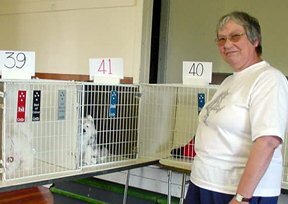 Although the Judge is commander-in-chief in the show ring, the Ring Clerk is the production manager of a complete mini-show. Similar to the Judge, the Ring Clerk shares a high public profile, providing the Ring Clerk with many opportunities to interact with the public while performing critical continuity and clerical duties within the ring. With this profile is attached the responsibility of ambassadorship, setting an example which will enhance the public image of the association which he or she represents. The Ring Clerk ideally demonstrates many talents. These include being conversant with Show Rules, remaining one step ahead of the needs of the Judge, ensuring that the judging timetable is maintained, keeping distractions to a minimum and most importantly, assuring accuracy in show mechanics. The Ring Clerk is therefore an integral part of making the show a success. CATZ Incorporated is committed to providing applicants to the Clerking Program with in-depth training, both theoretical and practical, in Clerking Schools organised specifically for this purpose.